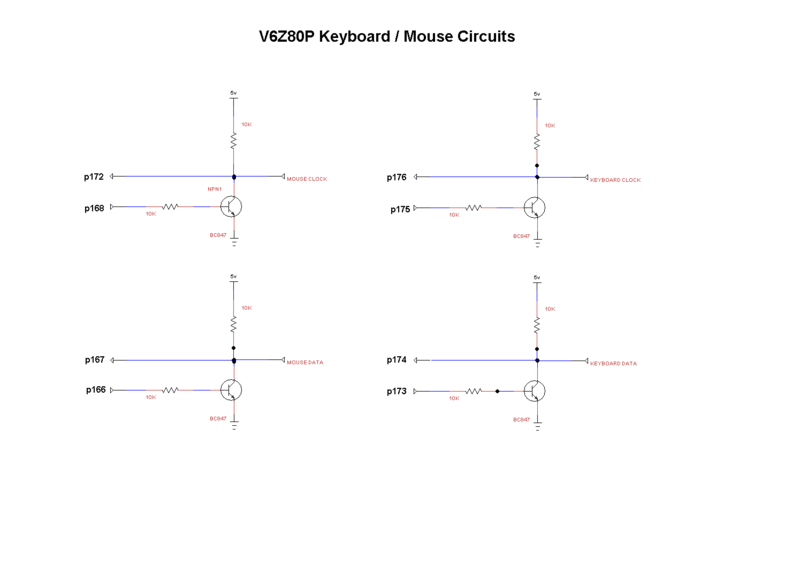 The entire V6Z80P system runs from a 16MHz (3.3v) TTL clock source. 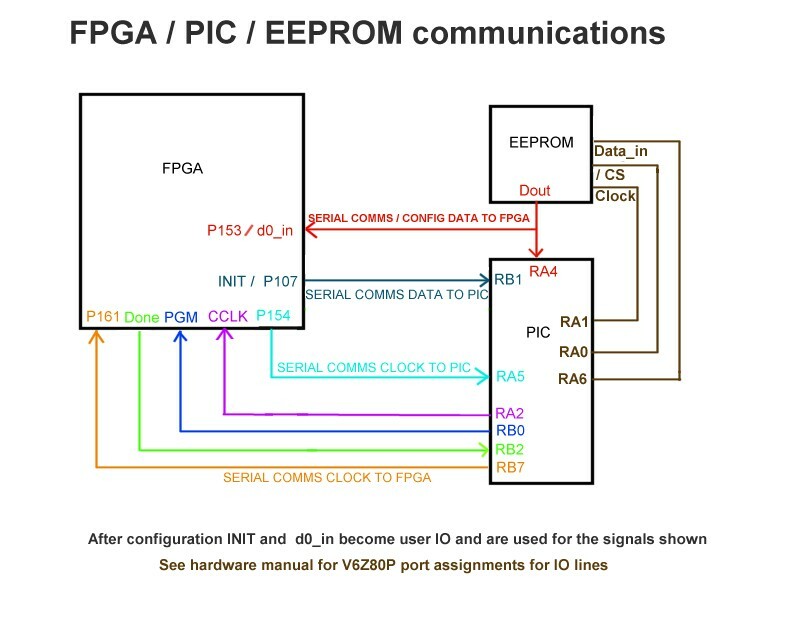 This feeds the FPGA, the Z80 (via a 74HCT08 AND gate acting as a voltage shifter because of the V_level requirements of its clock input) and the config PIC. “Video memory” - 512KB 10ns, direct connection. Chip always selected. “Sprite memory” - 128KB 10ns, direct connection. Chip always selected. “System memory” - 512KB 25ns, direct connection with D0-D7, A0:A14, /RD and /WR routed to the relevent Z80 pins. System RAM A18:A15 are conneced only to the FPGA, Z80 A15 also has its own seperate FPGA connection - this allows the Z80 address space to be paged in two halves. 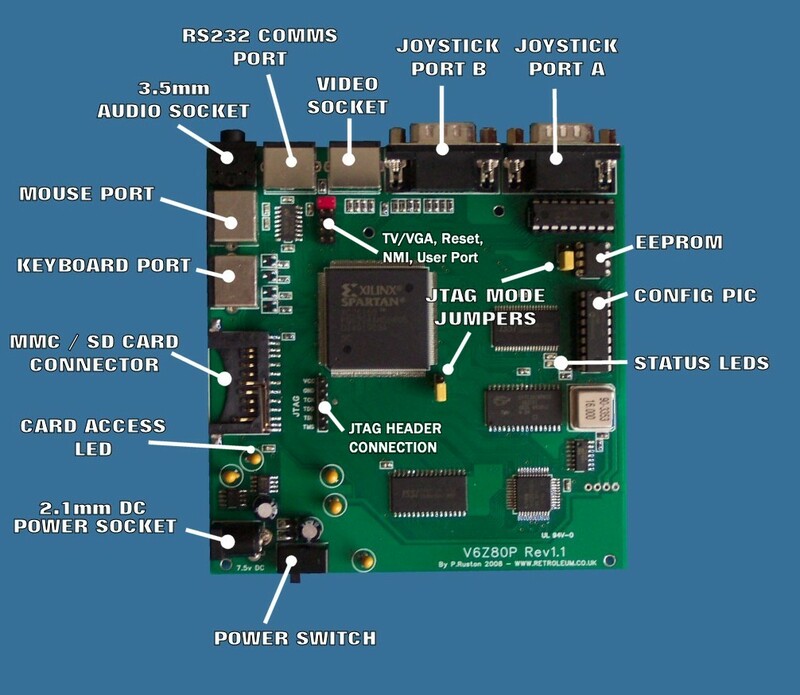 System RAM chip select is also connected to the FPGA. 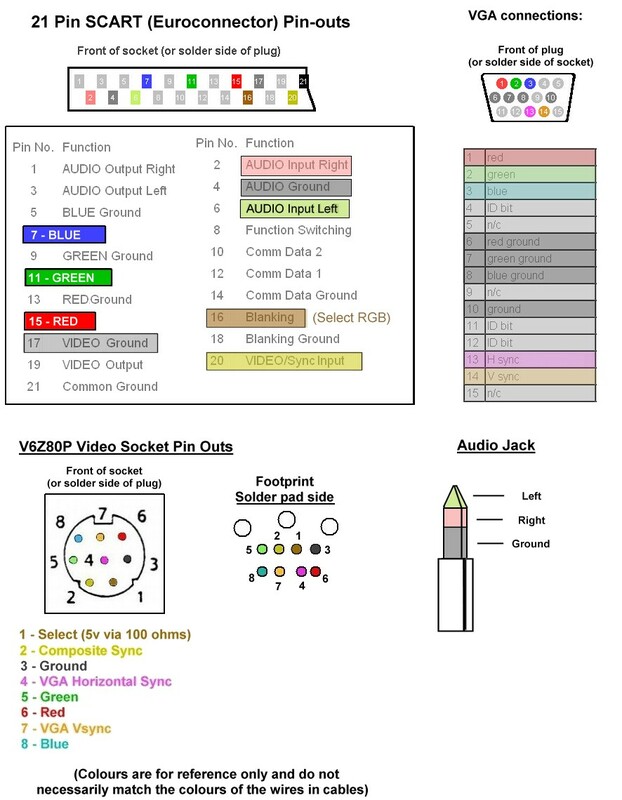 All Z80 control pins (except from RFSH and HALT which arent used) are connected to FPGA pins. Two outputs from the FPGA (Sigma/Delta pulse trains) drive a simple resistor/capacitor filter. The output of which has its amplitude halved by a potential divider (2 x 10K), passed via 1uf capacitor to the left and right of the audio socket. 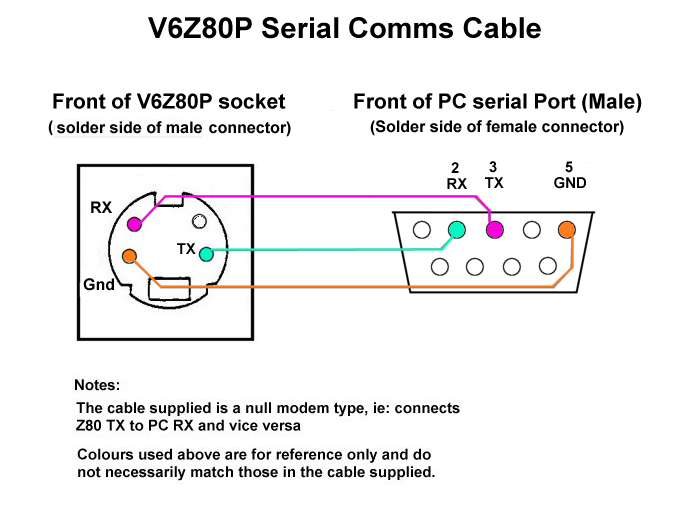 To connect to a standard RS232 serial port - RX and TX only are implemented. The lines are routed via a ST232 level converter chip to and from the FPGA. Keyboard and mouse. CLOCK and DATA directly connected to FPGA. These lines can also be pulled down (for output) on the VxZ80P side by transistors connected to the FPGA. 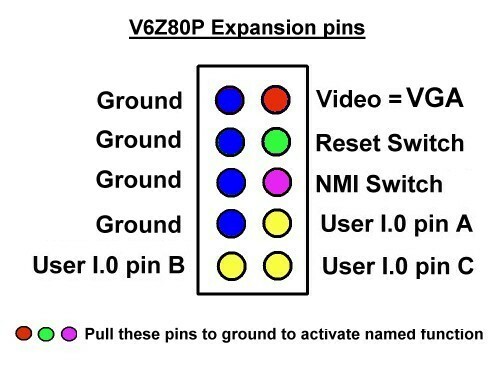 (8 FPGA pins used in total). Two ATARI 2600 style connectors: 6 inputs each. (Megadrive pads can also be sed following a minor hardware modification). Lines are pulled up by resistors on the PCB and pulled low by the switches in the joystick. The 12 lines are connected to a PIC 16F62x microcontroller which acts as a parallel-to-serial converter. Two FPGA pins for Clock and Data are used to read the joystick data. Uses 5 FPGA pins to connect to Power, /Card Select, Data_in, Data_out and Clock. /Card select is also connected to an LED via resistor for access indication. 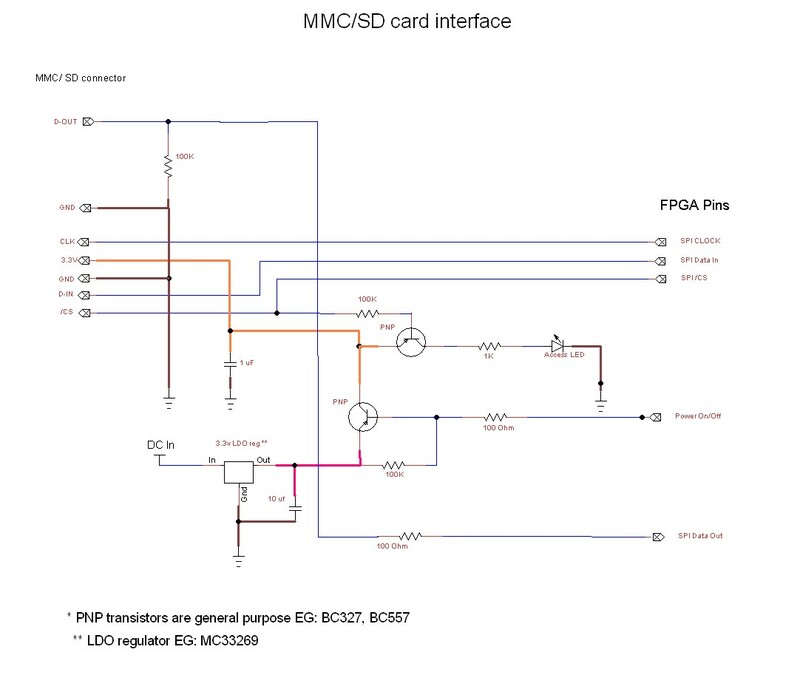 The FPGA /Power line switches a PNP transistor to apply power to the card. Used for “live” config of the FPGA, standard Xilinx pin out sequence.